Try SpyRemover Pro for free, or Purchase right away. Automatic threat detection means your PC is safe, fast, and secure. Don’t let a virus or malware problem slip through the cracks. SpyRemover Pro can detect viruses, spyware, malware, and adware. Speed up your PC by blasting away viruses and malware threats that clog up performance. Block viruses and malicious websites before they infect your system. Malware is a bigger threat today than it’s ever been. You need strong, smart antivirus software. You don’t need to be a tech whiz. If you can click your left-mousebutton, you can use SpyRemover Pro. 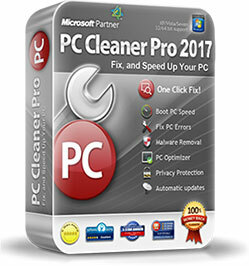 SpyRemover Pro is powerful antivirus software that won’t slow down your PC’s performance. Spy Remover Pro 100% committed to creating tools and solutions that improve the way you operate. It's true! SpyRemover Pro will block viruses, spyware, malware, and adware. That means your computer's security is never compromised.